The McKay Tower has served as a historic landmark within the Grand Rapids skyline since the first stories were constructed in 1915. 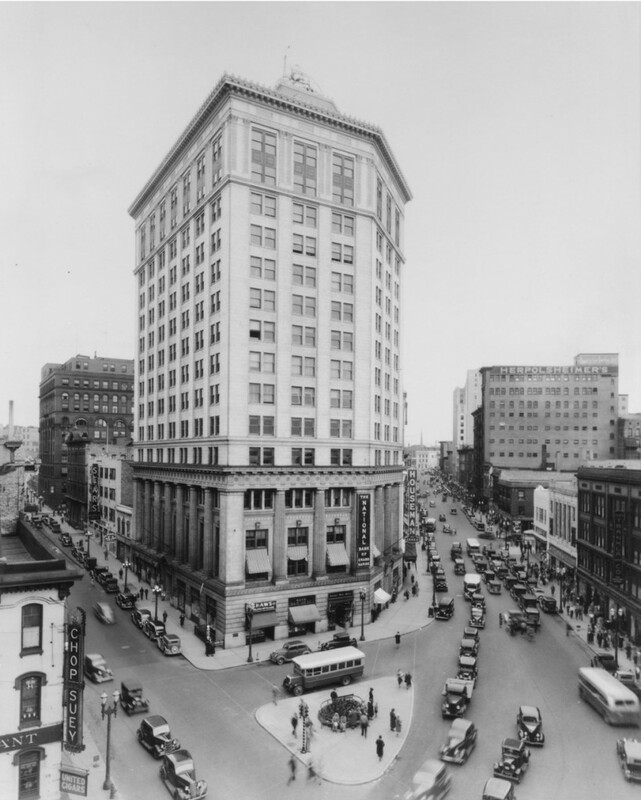 Designed by architects with Owen-Ames Kimball Co., it served as the former home to the Grand Rapids National Bank. Twelve stories were added in 1925 and an additional two mechanical floors topped the building in the early 1940s making it the tallest skyscraper in Grand Rapids until the Amway Grand Tower was finished in 1983. In 1942 Frank D. McKay purchased the building from the bank and renamed the building after himself. McKay, a well-known businessman, Republican activist and Michigan state treasurer willed the building to the University of Michigan upon his death. As the central hub of Downtown Grand Rapids, the McKay Tower is eighteen stories tall and currently functions as a multiuse space. The renovations in 2013 include the updating of the lobby, the remodeling of luxury apartments on the fifteenth floor as well as the revitalization of the former Grand Rapids National Bank on the second floor into a state of the art event space more commonly known as The Ballroom at McKay.